A somewhat humorous note from our Russian readers this morning. 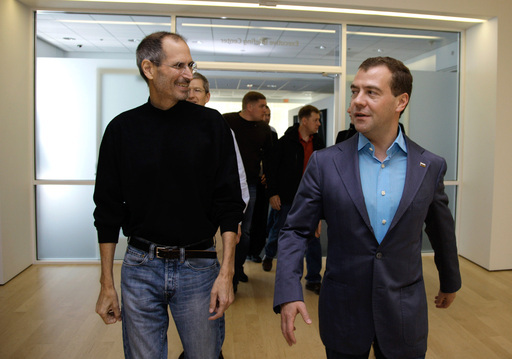 Apparently, the iPhone that Steve Jobs gave to Russian President Dmitry Medvedev was, and still is locked to AT&T. Woops! A translated Tweet from his assistant, above tells the tale. But as it turned out, even a high social status does not guarantee salvation from the fate fall into the caste izhdunov. How so, you ask, returning to thoughts about space and office routine? It’s very simple: Arkady Dvorkovich, Assistant to the President of the Russian Federation, wrote in his twitter that he was the most “presidential” iPhone 4 was locked by AT & T . That is a misfortune. Anyway, all those who every day waiting for news about unlocking “combs” forum – you are not alone in his quest. Somewhere in the Kremlin, you have a companion in misfortune.